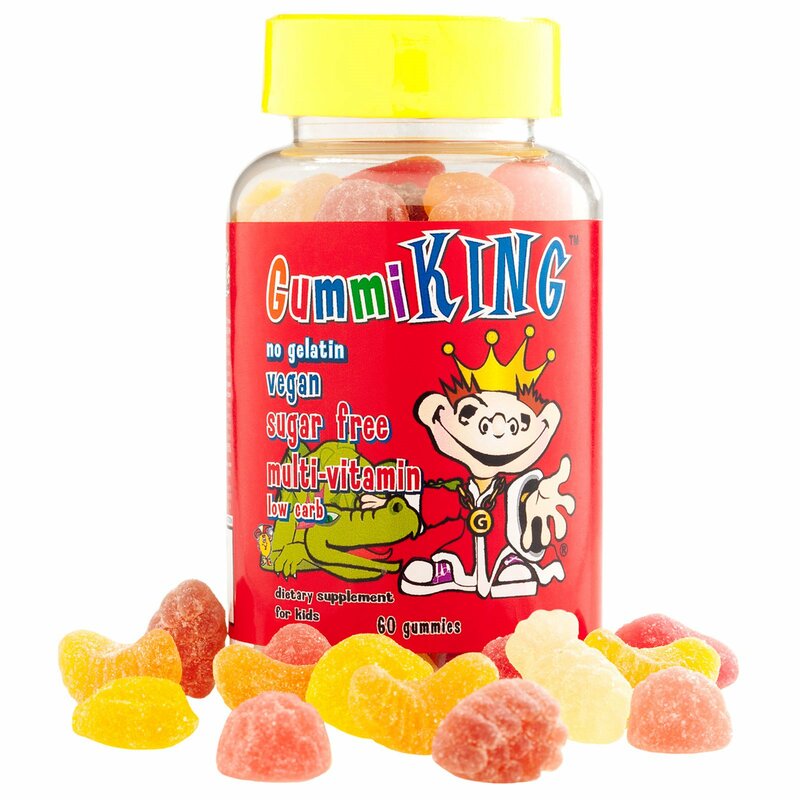 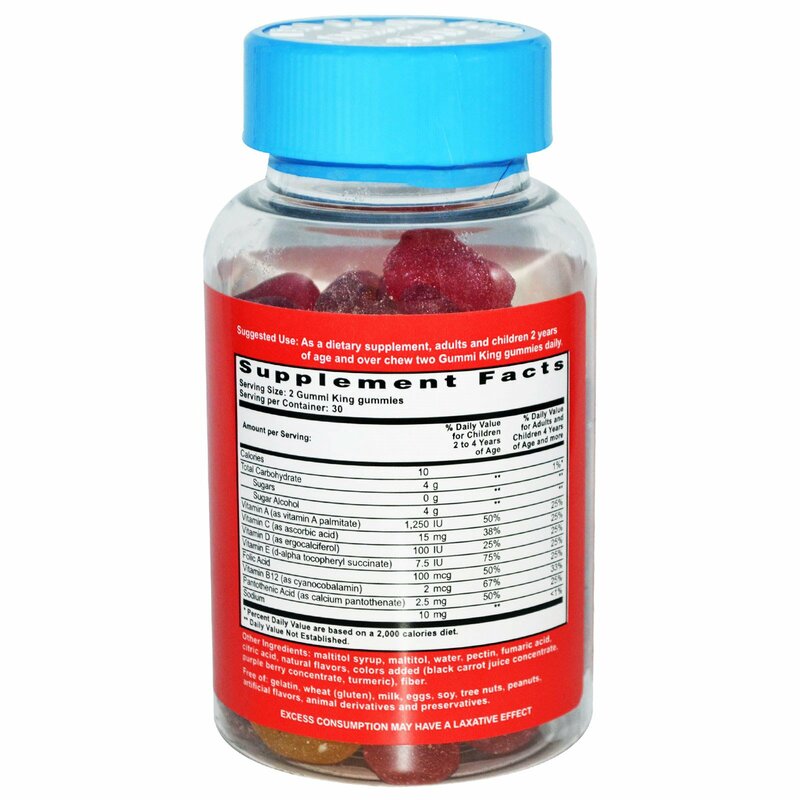 Gummi King Sugar Free Multivitamin gummies come in six natural fruit flavors (strawberry, lemon, orange, grape, cherry & grapefruit). They are sugar free, vegan and gelatin free, sweetened with maltitol syrup, and provide kids with multivitamin, key vitamins they need during their growing years. 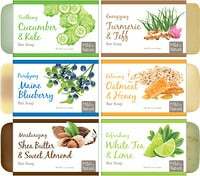 Maltitol syrup, maltitol, water, pectin, fumaric acid, citric acid, natural flavors, colors added (black carrot juice concentrate, purple berry concentrate, turmeric), fiber.